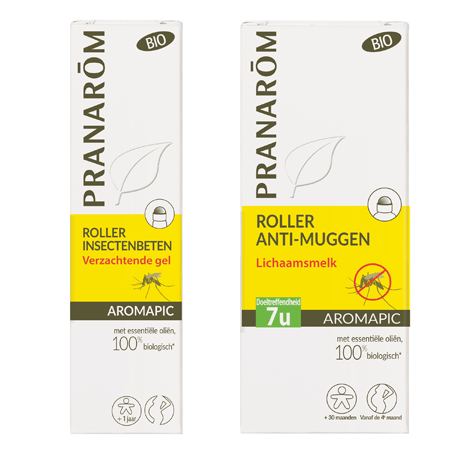 Categories: Antioxidants, Beauty, Herbs & Tea Tags: anti-mosquito, insect, insects Brands: Pranarôm. 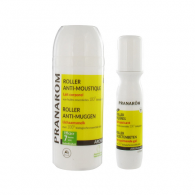 Mosquito repellent roller body milk, protects the skin from bites of most insects: European and tropical mosquitoes (Aedes aegypti, Culex pipiens, Anopheles gambiae), bees and wasps. Its formula contains essential oils of citronella, geranium, lavender, eucalyptus and aromatic Citriodiol, all recognized insect repellent ingredients. It comes in a handy roll-on container, which can carry around, facilitates the penetration of the product and leaves the skin soft, not greased. The only active ingredient of natural origin (derived from the essential oil of Eucalyptus citriodora) that effectively repels mosquitoes in temperate zones (Europe) until 7:00, and in the tropics up to 6 hours if it is well balanced. Natural healing roller mosquito to appease quickly and well insect bites. A non-greasy gel, alcohol free formula, easy to take anywhere. With 8 essential oils and 1 vegetable oil. 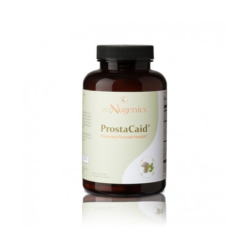 100% Organic chosen for their analgesic, healing, anti-inflammatory and decongestant effects. 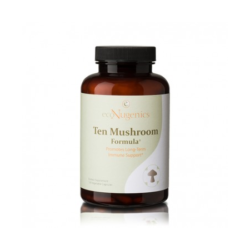 Organic formula, suitable for pregnant women and children over one year. 100% organic essential oils; lavender, blue eucalyptus, palmarosa, lemongrass, tea tree, lemongrass from Madagascar, egyptian geranium, clove spices, ginger and Citriodiol effective active natural origin. Certified product in accordance with the requirements ECOGARANTIE (Certisys Control). 100% organic essential oils; eucalyptus citriodora, mentha arvensis, cymbopogon flexuosus, citrus aurantium amara, lavandula spica, anthemis nobilis, cedrelopsis grevei, tanacetum annuum, calendula officinalis extract oil. Apply to the skin, renew the use every 7 hours. 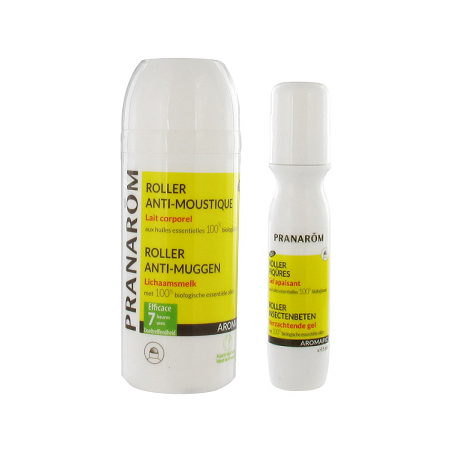 Formula without alcohol, easy application with roller skating, it is composed of a non-fat milk and non-sticky, proven effectiveness for 7 hours. 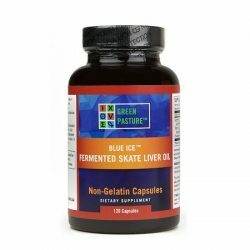 Children from 30 months to 6 years: apply only in arms and legs, 1-2 times per day. Adults and children over 7 years: apply on exposed body areas and extend the milk until it penetrates completely. Use every 7 hours. Pregnant women from the fourth month of pregnancy and women who are breast-feeding: apply more than once in the morning and one at night. Can be applied to the forehead and neck. In case of a sting, the soothing gel immediately brings relief. Local application 3 to 4 times per day. Suitable for children from 1 year old, adults, pregnant and breast-feeding women.